Across the manufacturing industry, many companies are now either adopting or upgrading their ERP systems as a means of making everything run just a bit better. One of the best aspects of such a system is barcoding inventory and production. However, it's worth noting that there are sometimes right and wrong ways for companies to go about efforts to keep track of what they produce. When moving to adopt or update ERP, companies may have specific benchmarks in mind for what they want to accomplish with these systems, according to The Manufacturer. However, the plans executives want to lay out might not always be achievable, at least not at first. Reviewing what they have in-house, what the ERP systems they're adopting are equipped to do and what their current needs actually are will all go a long way toward ensuring that goals are kept realistic, and expectations are met routinely. The only real way to make sure an ERP system runs as smoothly as possible not only in the short-term after adoption, but in the long-term as well, is to make sure every worker who comes into contact with it knows how it works and what their role in using it is, the report said. Training here is key, especially for those who will, for example, be scanning items into and out of inventory on an ongoing basis. Even minor kinks in that system can lead to major trouble down the line. Further, for companies that already have some level of legacy ERP system in place, it's also crucial to make sure workers know what's changing, and that the new systems being used work seamlessly with the old ones, the report said. This can further help to guarantee a transition is as smooth as possible and that nothing is lost in translation when the upgrade goes through. The point of adopting the latest ERP systems is to make sure that a manufacturer's efficiency is always running at a high level, and NAV barcoding can be crucial to that effort, according to Specialty Fabrics Review. 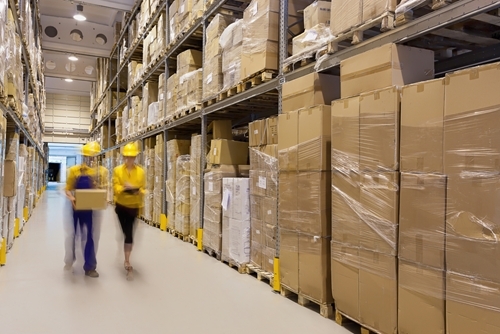 This is because, if inventory is tracked on an ongoing basis, workers and executives alike will get a top-down view of everything they have on hand on an ongoing basis. That helps to avoid everything from supply chain snafus that delay production, orders going missing or unfulfilled, and simply slow processes. Consumers these days – whether they're individuals or businesses of any size – have come to expect quick turnarounds for many different kinds of products. By adopting the latest barcoding technology and other ERP features, manufacturers can start increasing physical inventory efficiency and put more man hours toward the production process itself. That, in turn, helps companies to run more efficiently.